Thanksgiving is one week away. And although this is a close runner-up to my favorite holiday (Halloween counts, right?) 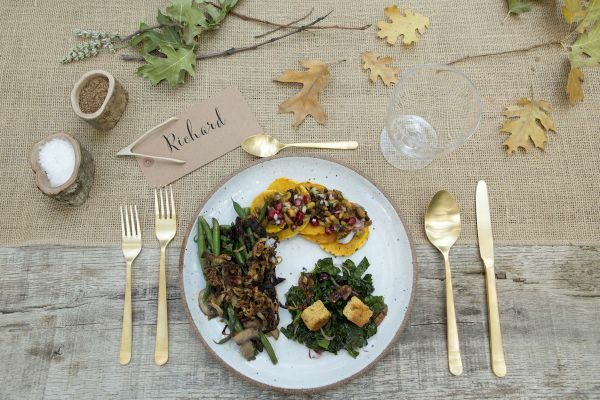 I cherish this particular gathering for multiple reasons…the food, the people, the smells, the decor – but also the personal touches found through writing. This being our 6th year of hosting Thanksgiving, I’ve found myself searching for fresh ideas to bring handwriting into our family tradition. 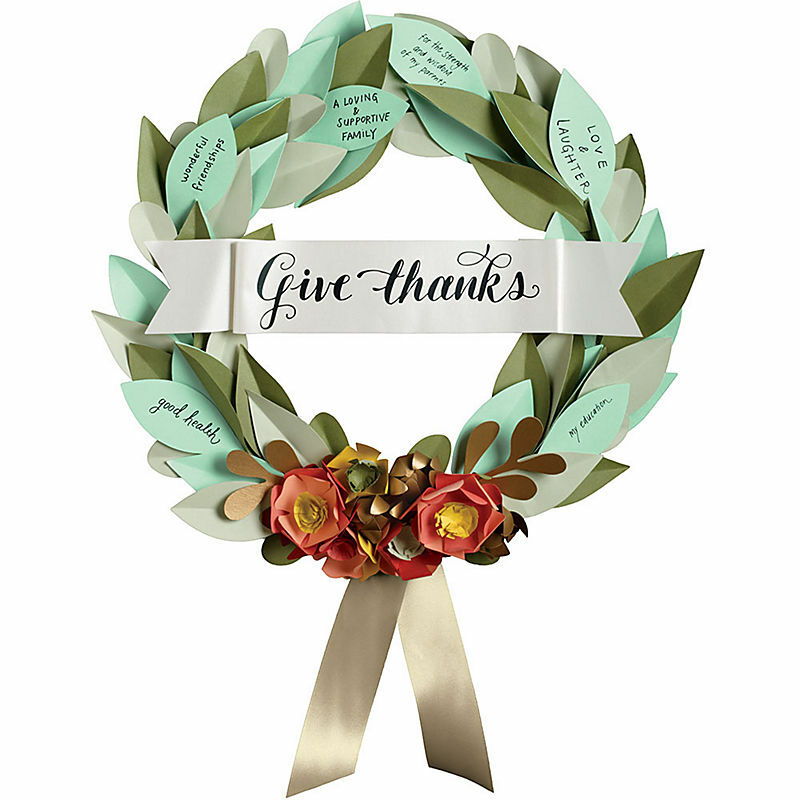 One new find I picked up at Paper Source the other day is the Grateful Wreath Kit, a family writing activity that welcomes the theme of gratitude way before the holiday begins. It’s also a piece that can be displayed for years to come. 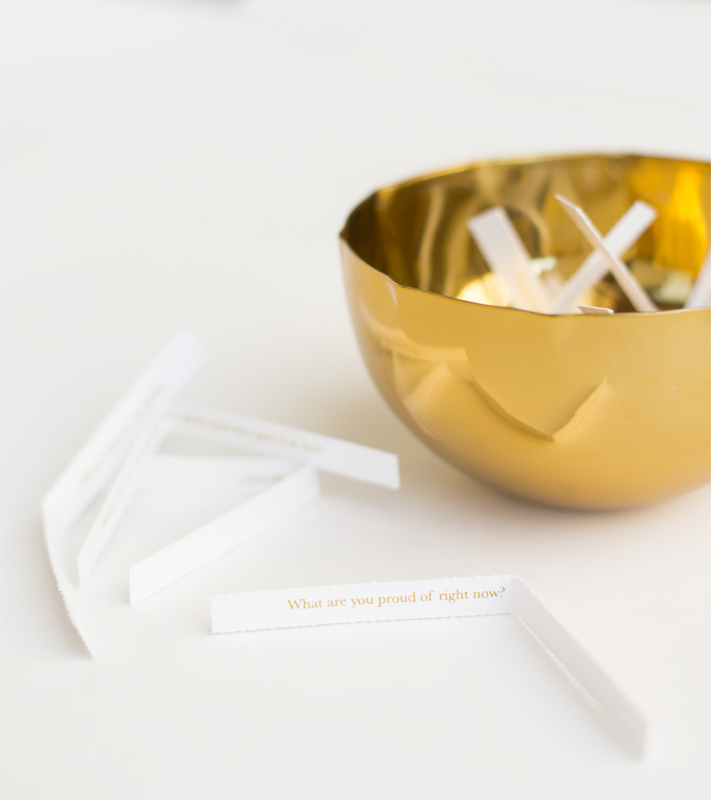 Each year we ask our guests to write down thoughts of gratitude on a small, festive card which I hold on to for reflection the following year. As I will continue with this tradition, I love the idea of placing the written cards in this beautiful, Giving Thanks book (at least this keeps track of the children’s thanks!). 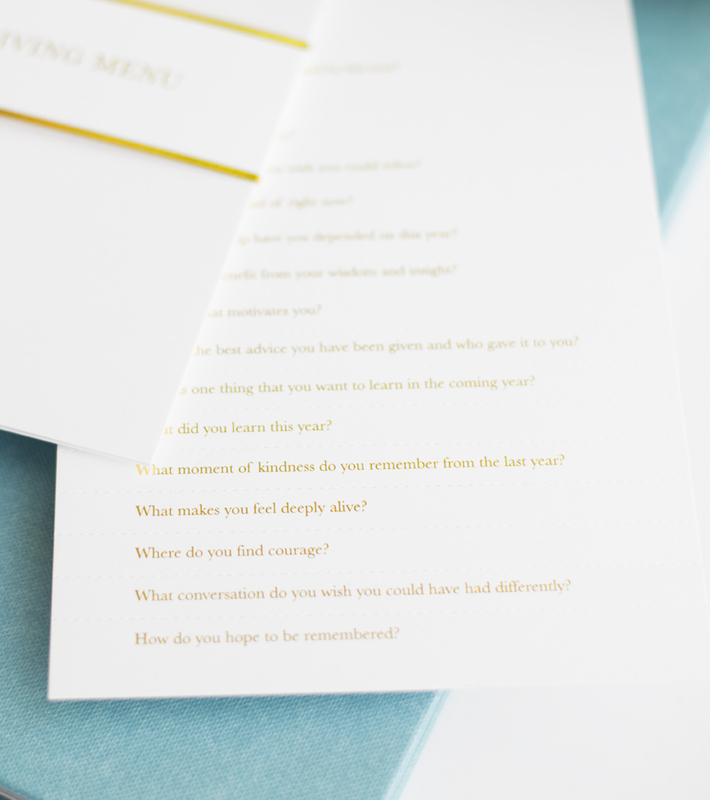 There is room to write your seasonal reflections and the book provides questions to ponder, making this a valued treasure in your family’s history…through written words! 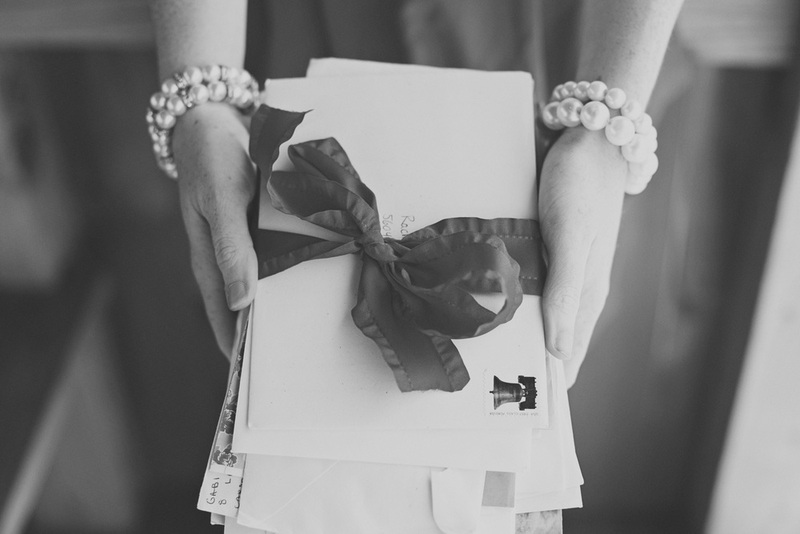 Of course there are many ways to bring a thoughtful touch to the gathering with handwritten place cards. 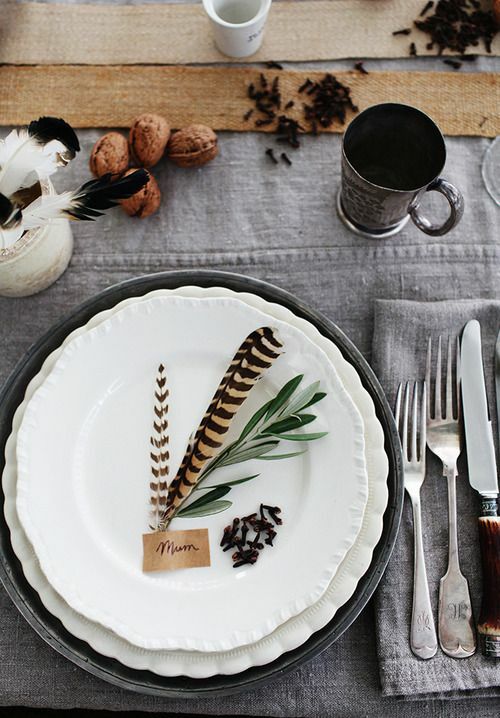 Rip + Tan uses a simple Kraft gift tag with elegant writing for their festive table. 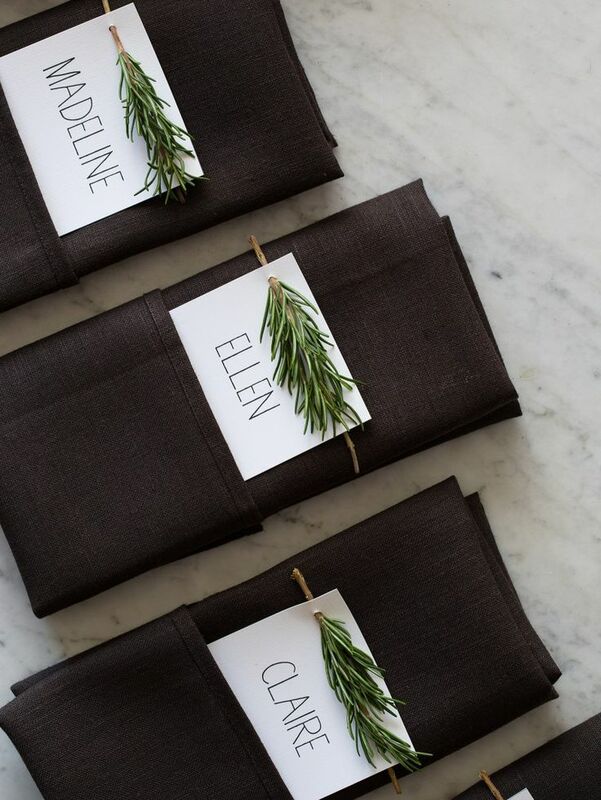 I love the idea of using a rosemary sprig in place cards as Spoon Fork Bacon shared – simple. 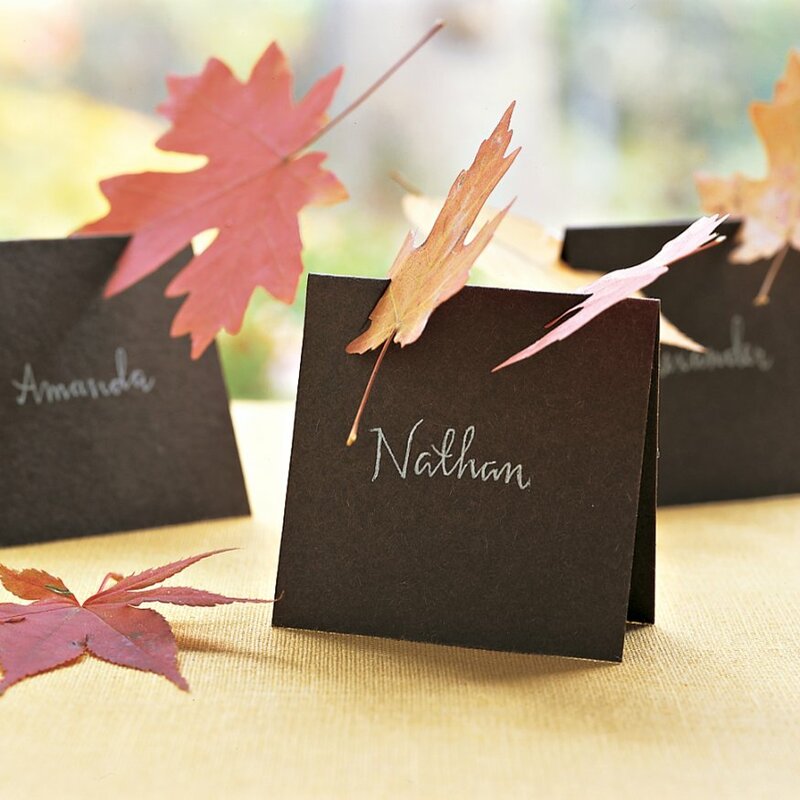 Direct your guests to their seats with name cards topped by the leftover leaves of Fall, needing only brown card stock and a white uni-ball pen. So simple yet beautiful. 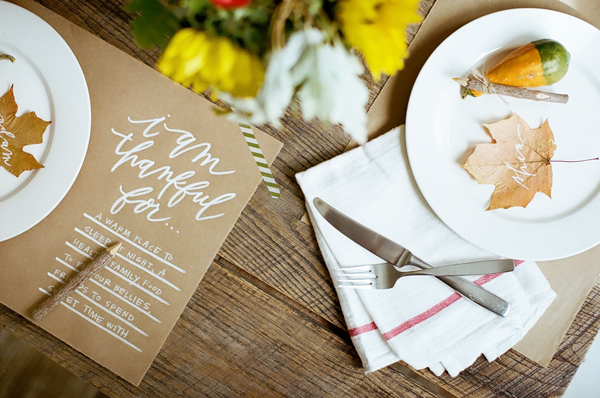 Get creative (and cheap and easy) with your Thanksgiving placemats by using these lovely, hand lettered templates from Oh My Deer Handmades (this girl has talent!). 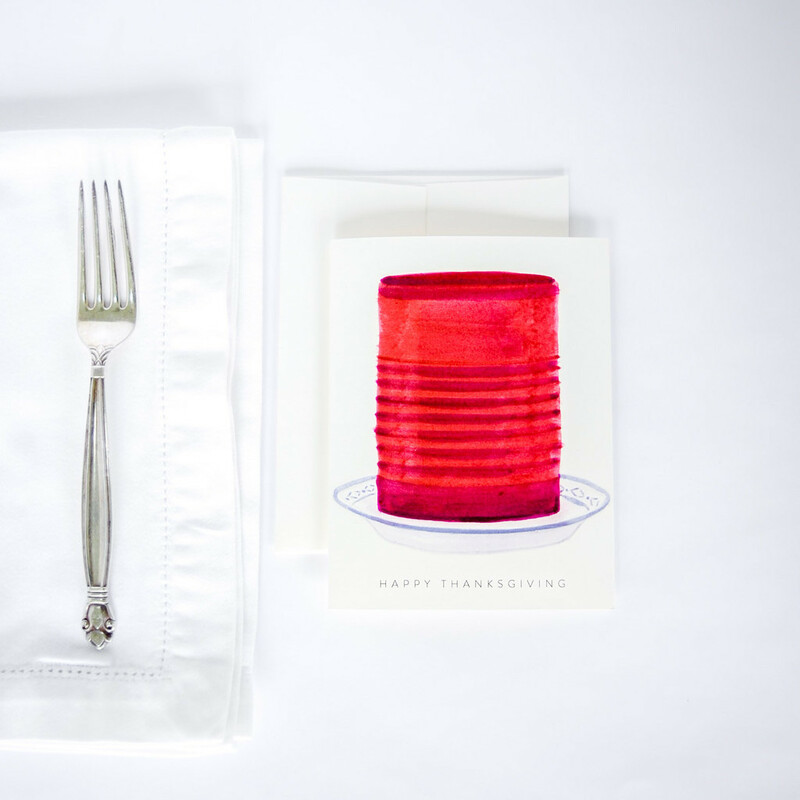 People are adoring this ‘old school Thanksgiving Cranberry card this year. 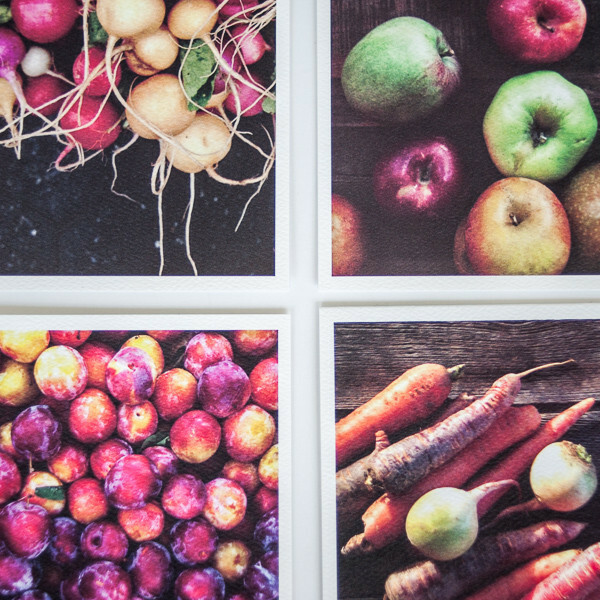 Harvest Set would be a lovely and perfect hostess gift for the season (images taken at Union Market in NYC by the uber popular A Guy Named Patrick). 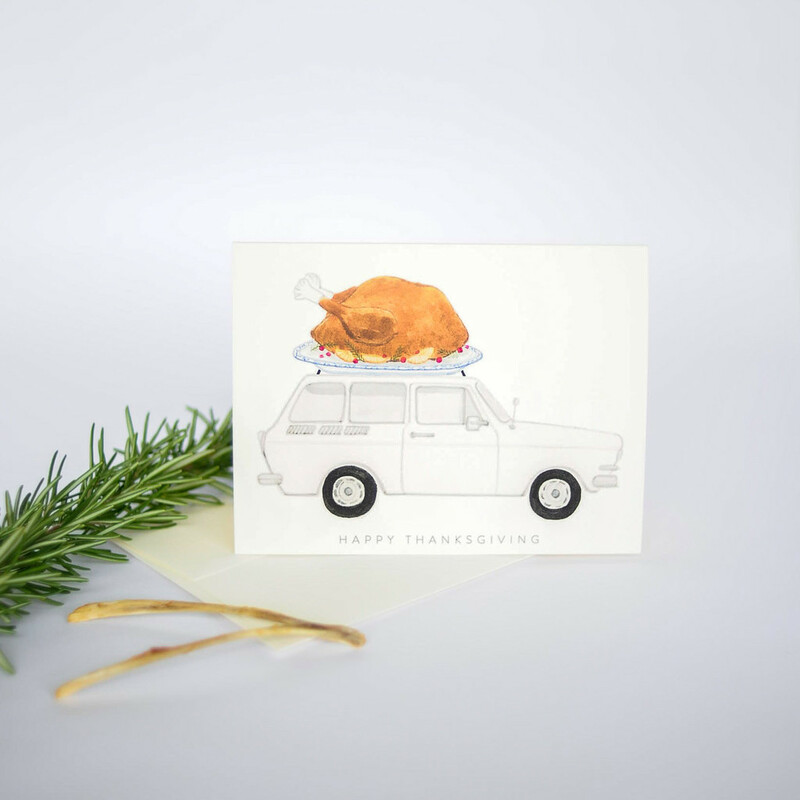 Over the river and through the woods…with the Turkey on Car we go! Time to stop and smell the rosemary, the herb which stands for memories. I’ll be back with more ideas to make this holiday even more memorable. Come find me this Thursday at the beautiful, floral boutique Spruce with goods from Brown Ink and locally-loved Mille on sale. 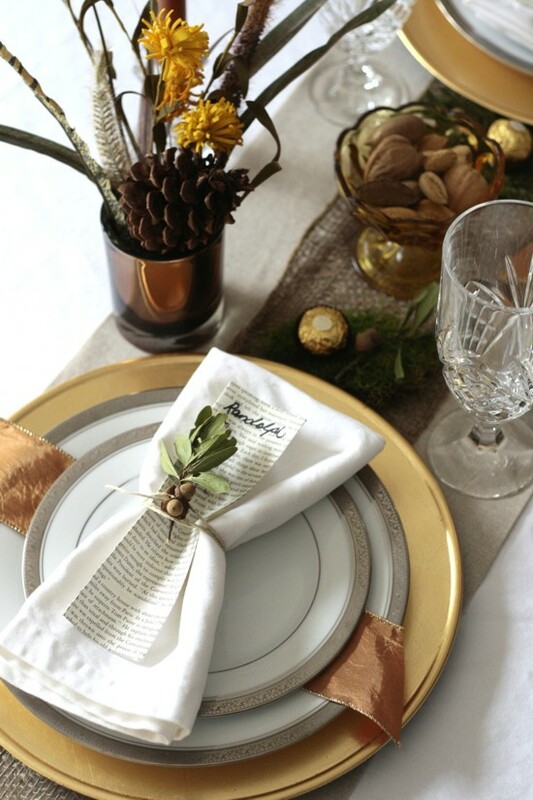 We’ll be toasting the holidays from 5-8pm with refreshments, mingling, demonstrations and 10% off goods and holiday pre-order floral arrangements at 50th and France. 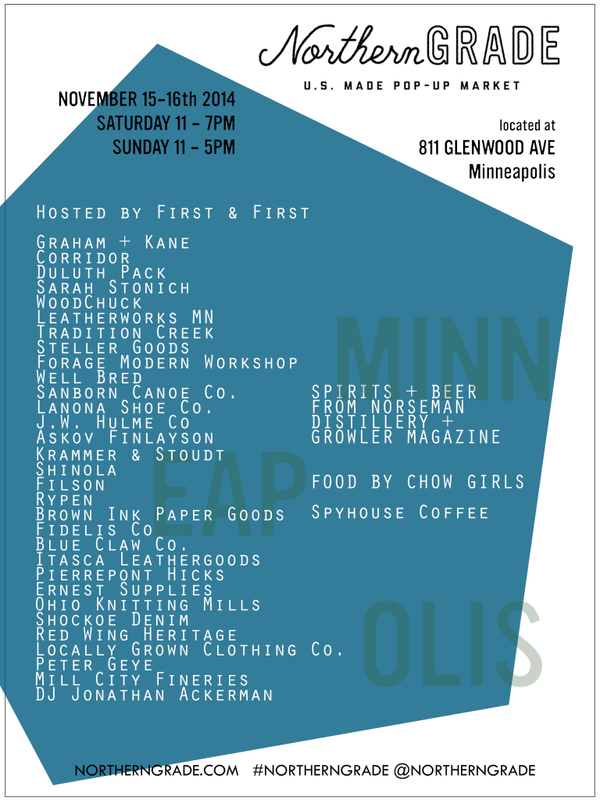 And this coming weekend the one-of-a-kind, U.S. Made POP-Up Market, Northern Grade, will be in town. With it’s debut market in Minneapolis in 2010, Northern Grade has continued to grow nationally, supporting quality, American made products. 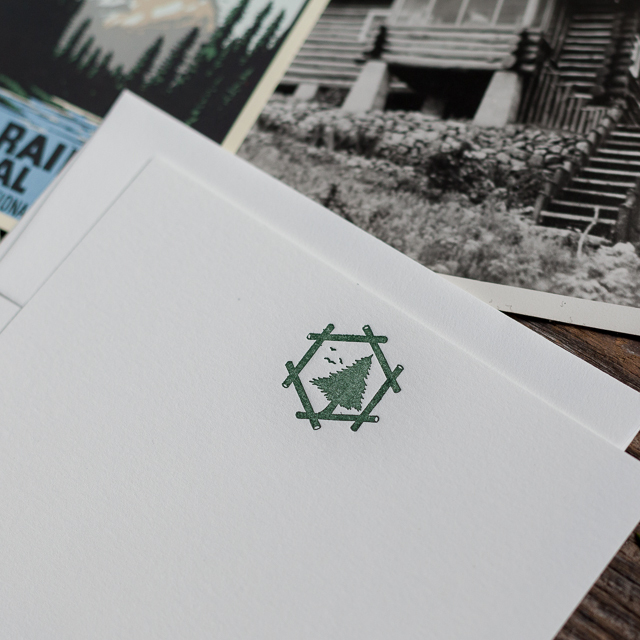 I’m ecstatic to be selling my personal Brown Ink Paper Goods line featuring many new letterpress images hot off the press. Come see me over on 811 Glenwood Avenue across from the International Market Square both Saturday and Sunday. 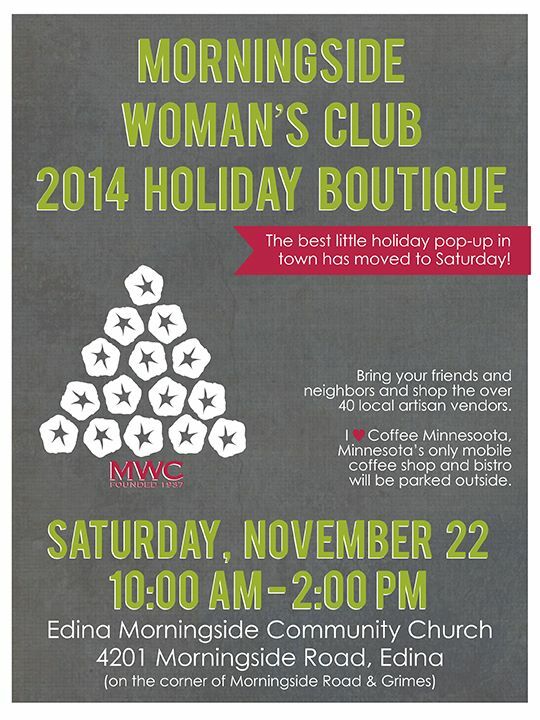 Finally, don’t miss the ever spirited Morningside Woman’s Club Holiday Boutique, Saturday November 22nd in Edina. You’ll truly find something for everyone on your holiday list. Just imagine if you could enjoy the holidays, even before the Christmas music hits the radio, by crossing off all your holiday gift and to-do list items while supporting a few local markets. It’s just that easy. Come find me and get inspired! Moving from Halloween mode to pre-Thanksgiving mode often brings a much needed deep breath. Yes, we have the holiday madness in the not-too-distant future, but once the Thanksgiving season arrives I am wonderfully reminded of all there is to be thankful for and find myself looking for opportunities to give back. Which is why it was lovely to learn about a recent collaboration between More Love Letters and This Bar Saves Lives, making a difference in multiple directions. To back up, I’ve mentioned the More Love Letters organization here and there over the years for their unique act of reaching out to individuals with a bevy of love letters during a time of need. The results are heartwarming and change lives. 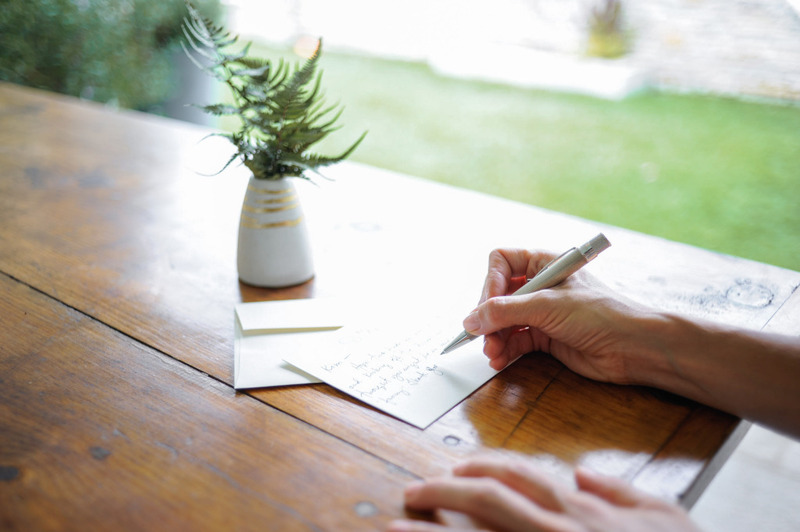 Recently, More Love Letters has teamed up with This Bar Saves Lives to bring even more goodness through letters. For every love letter you write to one of the More Love Letters nominated receivers by November 15th, This Bar Saves Lives will donate a packet of lifesaving food to a child in need. This month the recipients are individuals working daily to fight global hunger, who need words of support and praise while continuing their efforts. By putting pen to paper you will not only bring inspiration to these dedicated people but also save lives. Remember, you can also nominate someone in your own life who needs a boost. As the folks behind More Love Letters say, the world needs more love letters. Hard not to agree.